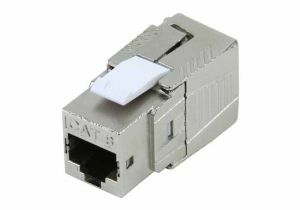 ShowMeCables offers a Cat8 keystone jack. Use these jacks to customize patch panels, wall plates, and more for ethernet installation. With hundreds on hand, our Cat8 jacks are ready to ship today. Not sure which keystone jack you need? Call or chat today and we will recommend the right solution for you.